Norway confectionery company Freia has released a short film providing a modern edge to the slogan, “Et lite stykke Norge” (A little piece of Norway). Set in both New York and rural Norway, the film is designed to blend the chocolate maker’s deeply traditional and familiar message with the hectic pressures of today’s world. Opening on a bucolic Norwegian landscape, Hallberg’s film quickly transitions to a busy hair stylist trying to keep up with the frantic pace of New York City. Increasingly jarring jump cuts reveal the stylist backstage of a fashion show, chugging coffee, squeezing in a workout at the gym, and navigating New York streets before jerking awake from his frenetic nightmare. Going to his nearly empty refrigerator, the stylist discovers a single piece of Freia chocolate. Instantly, he is transported to the relaxed atmosphere and simple pleasures of his native Norway. 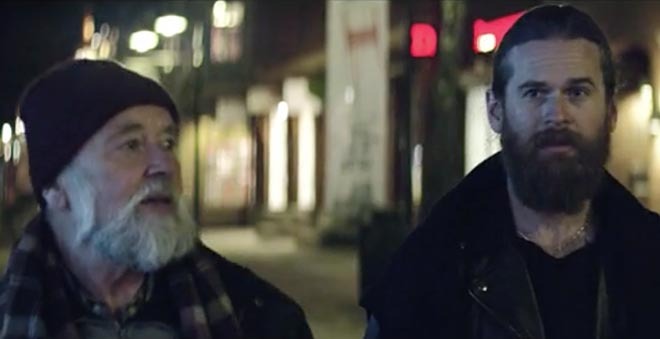 The Freia Piece of Norway campaign was developed at SMFB, Oslo, by creative directors Carl-Erik Conforto and Stig Bjølbakk, executive producer Christian Steen, account director Beathe Stangeland Eide, account manager Vibeke Wiedswang, working with Mondelez marketing manager Nina Skotte. Filming was shot by director Anders Hallberg and director of photography Gabriel Brault Tardif via B-Reel, Stockholm, with producer Lia Eliasson, online artists Johan Wiman and Patrik Gyllström. Editors were Tobias Suhm at Firsteight, Berlin, and Gustav Öström at The Chimney Pot, Stockholm. Sound was designed by Erik Olsson at Red Pipe, Stockholm. Music was composed by Max Kiusalaas.